One of the most exciting steps in starting your own backyard chicken flock is trying to decide which chicken breed to get. There are hundreds of chicken breeds to choose from, but you will likely come across one of the 60 different breeds recognized in the American Standard of Perfection, the official breed standard of the American Poultry Association. In this online guide to raising chickens, you’ll discover the top five chicken breeds for beginners. Each backyard chicken breed possesses one or more of the above characteristics and is popular among both beginners and experts. The Barred Plymouth Rock has distinctive plumage. The Barred Plymouth Rock is a dual-purpose bird, meaning people raise them for both eggs and meat. It traces its lineage back to the 1800s. Egg-laying hens will typically lay approximately 200 brown eggs every year. 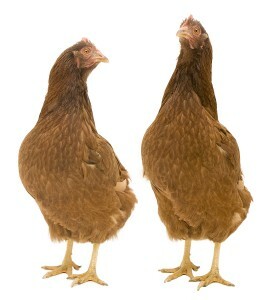 If you’re raising chickens for meat, females reach a weight of approximately 7.5 lbs. while male Barred Plymouth Rocks can average up to 10 lbs. in weight. This chicken breed is very docile and friendly, and also lends visual interest to your backyard chicken flock thanks to its distinctive black-and-white feathers. The Cornish chicken breed does not lay very many eggs. 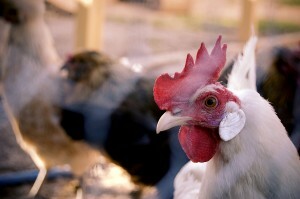 However, its quick growth rate and large size makes it popular for people raising chickens for meat. Male Cornish birds can hit close to 11 lbs. while the smaller hen can weigh as much as 8 lbs. A popular variety is the Cornish Cross. Another advantage that this breed has over others if you’re looking for a good meat bird is its white plumage, which doesn’t leave pigment in the skin like dark-feathered chickens do. The Rhode Island Red is the quintessential backyard chicken breed and is very popular among beginners. Rhode Island Red chickens are very easy to care for and very hardy, which is ideal if you make a few mistakes along the way. They are also very friendly birds, although the male Rhode Islands can become aggressive and may pose dangerous to both pets and small children. The rate of lay is excellent for this dual-purpose breed, with hens averaging around 300 eggs per year. If you’re raising backyard chickens for their eggs, few breeds do better than the white Leghorn. They have an exceptional rate of lay of more than 300 eggs a year. Leghorns are also very lightweight birds, averaging around 4 lbs. in weight, because they expend so much energy on egg production. While excellent egg layers, Leghorns are not very docile and are prone to being flighty, nervous birds. If you’re raising chickens as pets, the Silkie is a great choice. Unlike traditional chicken breeds, the Silkie has a different feather structure which gives it a puffy, hairy appearance. It even has a puffy plume of feathers on its head and feet. 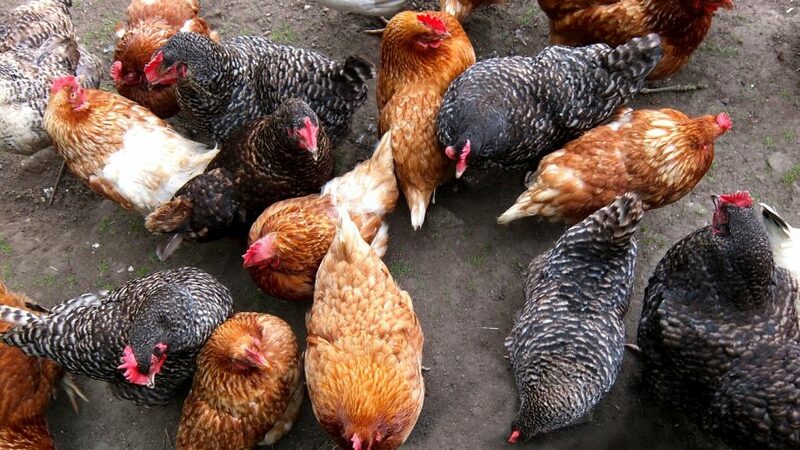 This chicken breed stays relatively small, are very tame and are also known for their ability to make great mothers when broody, should you decide to incubate some fertile chicken eggs or want a foster mother for your new chicks. Hey, My friends and I were thinking (THINKING) of starting a little backyard chicken action. Just for eggs in the morning and few pleasant surprises of new chicks. I don’t need mass production. For unique colors, I thought of the breed Easter Egger, although I know that’s not a breed breed..
THEOlvie egger, for egg color. I want a rooster EE, but will that breed with the olive egger? Will that be ok? I want the offspring (and hens and rooster) to be calm and friendly and preferably larger chickens. I would also recommend Brahmins – they are lovely big chickens that are very docile. 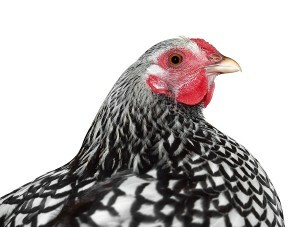 I I hate to say this but I believe your picture (above) of a Barred Rock is actually a silver laced color of some breed. The laced pattern is very different from the barred pattern. I have both and the one you are showing is deffinately laced. It pays to be accurate when dealing with experienced fanciers and newbies, not putting out erroneous information. The picture of the “barred rock” is really a picture of a Silver Laced Wyandotte. I have both breeds. Hello Chrystal. Sorry if I don’t master english perfectly. Your name, Desrosiers, is common here in Quebec. Do you have french canadian parents in Quebec? Greetings! i’m looking for a good marg. to buy baby chickens from I’m just starting out and really would some information about chickens and what to buy ..
Be careful of poultry dust if chicks are inside. I was not aware of this until after the fact when I came down with a sharp cough and breath problems. As I`m really intending to go in to small poultry business as soon as I`m retired,I find your information very useful and am determined to work very closely with you and learn more.Thank you so much friend.